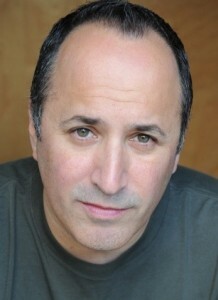 Mitchell Whitfield is a 30-year veteran of the entertainment industry, whose career has spanned Broadway, Film, Television and Radio. Mitchell began his career on the New York stage, starring as Eugene in Neil Simon’s Brighton Beach Memoirs and Biloxi Blues. Mitchell then made his screen debut with a supporting role in the Jeremy Irons film, Reversal of Fortune, and six months later was cast opposite River Phoenix and Lilly Taylor in the Warner Bros. feature Dogfight. 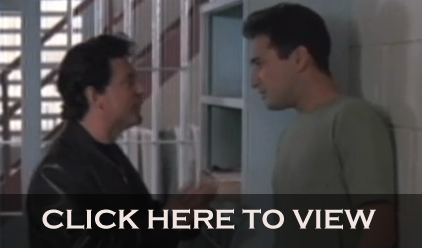 Next up was Mitchell’s role in My Cousin Vinny, playing opposite Ralph Macchio as his neurotic sidekick, Stan Rothenstein. Other credits include a lead roles in Best Men, Amy’s O , I Love You, Don’t Touch Me! and Lost and Found, as well as supporting roles in numerous others, including Sgt. Bilko. Among Mitchell’s many television credits are series-regular roles in the NBC series Minor Adjustments and Head Over Heels, as well as numerous guest appearances, including his iconic role on Friends as Rachel’s infamous ex-fiancé, Barry the Orthodontist. In addition to Mitchell’s years in front of the camera, he’s also spent the last three decades behind the mic as one of the industry’s top voiceover artists. He can currently be heard as Fixit on the new Transformers: Robots in Disguise on Cartoon Network, as well as the voice of Humpty Dumpty on Goldie and Bear on Disney Junior; he also voiced the role of Donatello in the 2007 hit animated feature TMNT—making him one of the few people in Hollywood lucky enough to have been both a Ninja Turtle AND an Autobot. Mitchell can also be heard in recurring roles on Legend of Korra, Doc McStuffins, Sofia the First and WINX Club, and also voiced the role of Phobos on the hit Disney series W.I.T.C.H. He was heard opposite Ron Pearlman in 2006’s Hellboy Animated: Sword of Storms, and more recently in Green lantern: Emerald Knights. Mitchell is also proud to add being a Skylander to his list of achievements, and can be heard as the voice of Bruiser Cruiser in the Skylanders: Trap Team video game; he can also be heard every week as the co-host of YourTechReport on SiriusXM.